Mark is a BBC sports presenter and reporter most often heard on Radio 5Live and seen hosting BBC One's Football Focus and Final Score. He will also front Match of the Day 2 from next season. 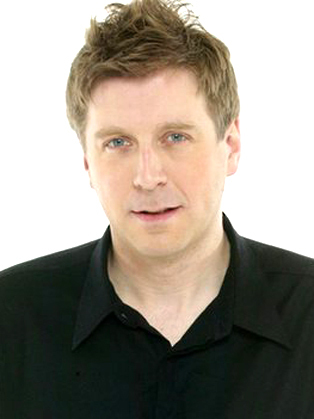 Mark Chapman, sports presenter, journalist, BBC 5 Live anchor and Radio 1 DJ. Mark has recently presented Match of Day, anchoring the BBCs live coverage of Italy v Northern Ireland and he is currently hosting 5 Lives new world cup show - World Cup Memories. In 2007/8 Mark anchored Five TV's live Series A coverage, Football Italiano, as well as Five TV's weekly football show, Football Night. Mark was recently asked to take part in the FA's Respect Campaign advert for the 2008/9 season. Mark returned to BBC Radio 5 Lives 606 phone in for the Euro 2008 Championship and continues with 606 for the 2008/9 football season, and its not just football that Mark covers. He presented Rugby League Raw for the BBC and last summer he was asked to present three special Cricket 606 shows covering the Twenty 20 tournament for 5 Live. Mark presents the Times Online Cricket Podcast and hosts his own Premier League Podcast for the Littlewoods Pools 08/09 season - Mark Chapman's Premier League Podcast. A trained journalist Mark has been writing, producing and broadcasting on sport since 1996 starting out as the Cricket Correspondent for BBC North East Radio moving quickly on to BBC Radio 1 working with Sara Cox on her Breakfast and Drive Time Show. Mark has presented features/reported on Sunday Grandstand for BBC 2, anchored The Rumour Mill for Radio 5 Live and hosted ITV’s Yorkshire Football Night. His knowledge, understanding and football connections across all leagues makes Mark one of the most respected football broadcasters. On Radio 1, Mark is currently working on the Drive Time show with Scott Mills, attracting 6.5 million daily listeners. Mark regularly teams up with 'Comedy Dave” to present various weekend shows on Radio 1. In 2006 Mark reported from Germany on the World Cup for Radio 1 and World Cuppa for ITV 4. He was also seen on the BBC 1 Sport Relief programme, All Out For India. Mark has varied and wide ranging knowledge on Cricket, Football, Rugby League/Union and boxing. Mark's distinctive voice make him an ever popular choice to voice-over documentaries and sports programmes – recently voicing documentaries on Ricky Hatton and Wayne Rooney. Mark is also a highly experienced and engaging corporate host, last summer he hosted the Red Bull Flug Tag event in Hyde Park to 80,000 people. For a third year Mark has been asked by the ECB to be the on pitch host for all England’s One Day Internationals against the West Indies and Australia and he has just hosted FIFA's Interactive World Cup UK qualifier for EA Sports.